An American History of Disaster and Response Massive reconstruction efforts in the wake of catastrophes aren't without precedent in America. A number of U.S. cities have had to rebuild from the rubble. Read original essays, Q&As and more from NPR correspondents on the aftermath of Hurricane Katrina. Hurricane Katrina cut a wide swath of destruction across the Gulf Coast. The storm affected some 90,000 square miles in the region, displacing hundreds of thousands of people and leaving much of New Orleans under water. The reconstruction process is expected to take several years and at least $200 billion, making Katrina the costliest natural disaster in recent U.S. history. But U.S. cities have risen from the rubble many times before. Their experiences may prove instructive as the Gulf Coast looks to rebuild. From the Chicago fire of 1871 to Hurricane Andrew in 1992, here are eight events that challenged American cities and regions to rebuild in the wake of disaster. Glimpses of America at some of its most vulnerable moments. The people standing on the rooftops in this image are likely sightseers who have come to see the Johnstown flood destruction. 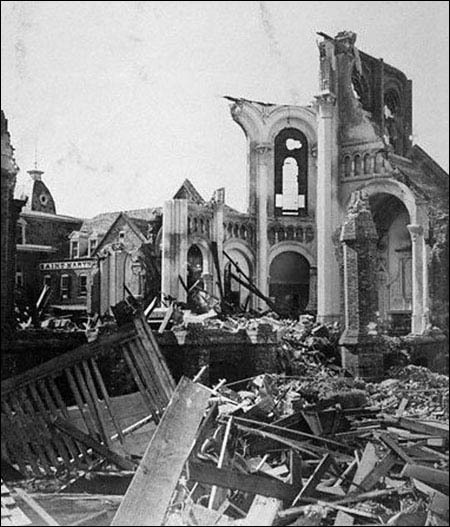 More than 200,000 people were left homeless after an earthquake struck San Francisco and fires ravaged the city in 1906. A 16-foot ring of levees was constructed around New Orleans after Hurricane Betsy struck the city in 1965. 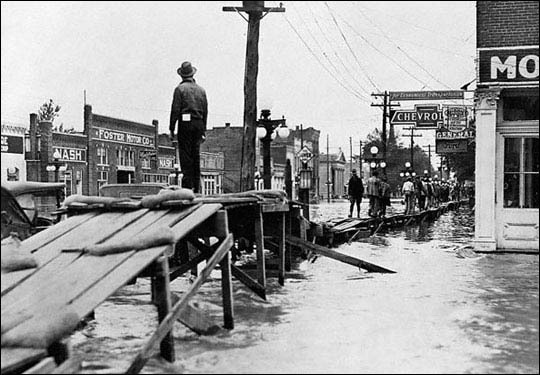 The downtown area of Greenville, Miss., was covered under 10 feet of water during the Mississippi flood of 1927. 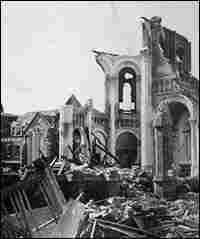 It is estimated that 8,000 - 10,000 people died when a hurricane struck Galveston, Texas in 1900. Before Katrina, Hurricane Andrew was considered the most expensive hurricane on record. Nearly 20,000 people lived in Vanport, Ore., when it was washed away by a flood in 1948. The town was never rebuilt. The Great Chicago Fire of 1871 consumed nearly 4 square miles of the city. 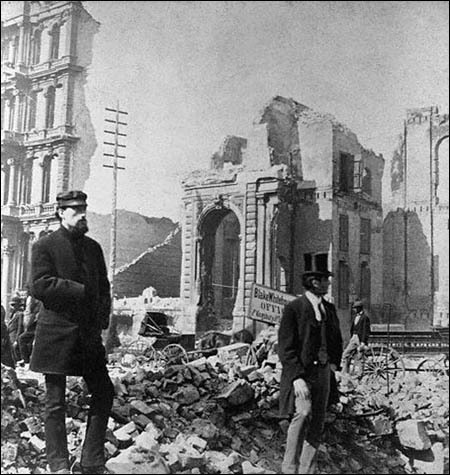 The Great Chicago Fire of 1871 ranks as one of the most destructive blazes in U.S. history. The massive conflagration consumed more than 2,000 acres of Chicago's urban landscape, leaving some 17,500 buildings in rubble. One third of the city's 300,000 residents were left homeless. Three hundred people died in the fire. But out of the ashes arose one of the most important urban revitalizations in U.S. history. A fast-paced development plan, coupled with the influence of visionary architects, helped Chicago quickly regain its reputation as a thriving city. Twenty two years after the fire, Chicago affirmed its vitality by welcoming 21 million visitors for the 1893 World Columbian Exposition. In the spring of 1889, a flood of epic proportions left Johnstown, Pa., in ruins. Several days of heavy rains had already drenched Johnstown when, on May 31, Lake Conemaugh broke through its dam. The man-made lake was situated high above the city in the mountains 14 miles north of Johnstown. Within an hour, residents of Johnstown were fleeing for their lives as a wave of water and debris roared down the valley. 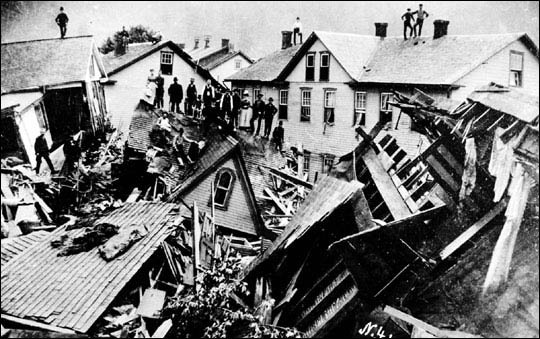 According to the Johnstown Flood Museum Web site, some eyewitnesses described it as "a rolling hill of debris about 40 feet high and a half mile wide." The gigantic wave of water killed more than 2,000 people and destroyed much of the Appalachian town in southwestern Pennsylvania. Many who survived awaited rescue for days on top of broken homes and debris. The news media produced extensive and dramatic coverage of the spectacle, prompting an outpouring of aid. The American Red Cross also responded, marking the first peacetime mobilization in the agency's history. The failure of the South Fork dam came as no surprise. Owned at the time by the South Fork Fishing & Hunting Club, the dam’s reliability had long been a contentious issue. Some area residents suspected that the club had carelessly modified the dam to benefit wealthy homeowners living on Lake Conemaugh. After the flood, several unsuccessful lawsuits were filed against the club. The disaster was ruled an "act of God," absolving the members of liability. At the turn of the 20th century, Galveston, Texas, was a growing city. But Galveston's reputation would change forever after a hurricane packing winds estimated at 135 mph struck on Sept. 8, 1900. 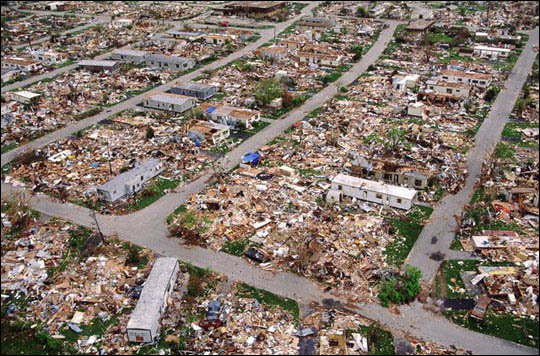 The massive storm claimed the title of deadliest natural disaster in U.S. history. Nearly a fourth of the city's 38,000 residents died; a 15-foot storm surge demolished more than 3,600 homes. Nestled at the edge of an island near Houston, Galveston was obviously vulnerable to such a disaster. In an effort to prevent a repeat of the catastrophe, the Texas legislature authorized the construction of a seawall 7 miles long and 17 feet high. After the seawall's completion, sand was dredged from Galveston's shipping canal to raise the grade of the city by nearly 11 feet. Despite Galveston's efforts to rebuild, the city faded from prominence in the aftermath of the hurricane. Much of the traffic that once made its way through the Galveston Bay was redirected to the newly constructed Port of Houston. Houston eventually supplanted Galveston as the area's major metropolis. On April 18, 1906, at 5:12 a.m., an underground tremble awakened San Francisco. About 25 seconds later it caused a massive earthquake. The epicenter was in San Francisco, but the quake was felt from southern Oregon to Los Angeles. A 291-mile-long rupture in the ground visible to this day remains a testament to the temblor's force. 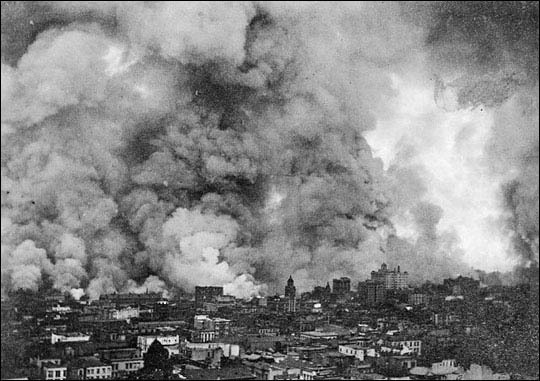 Raging fires spawned by the quake caused most of the damage in San Francisco. Ruptured water pipes rendered the fire department nearly useless as the relentless fires, fueled in large part by broken gas lines, consumed more than 4 square miles of the city. The earthquake and the fires are blamed for at least 3,000 deaths. More than 200,000 were left homeless. Nearly 300,000 people evacuated San Francisco. Oakland, Calif., saw its population double shortly after the earthquake. But San Francisco's population quickly rebounded. Rebuilding efforts set off an economic boom that energized the city and created thousands of jobs. San Francisco's magnificent City Hall, among other famous landmarks, was constructed in the years following the earthquake. 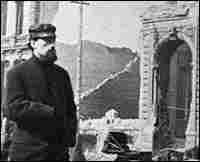 But to San Francisco's Chinese immigrant population, rebuilding efforts may have seemed less like renewal and more like removal. Tempted by large profits, city planners sought to turn what was Chinatown into a mainstream commercial district. Plans were made to relocate Chinatown and its inhabitants, most of whom had migrated to temporary settlements after the quake. Advocates for the reestablishment of Chinatown eventually prevailed, after agreeing to implement a more commerce–friendly aesthetic. As a result, the design of some buildings in present-day Chinatown says less about Chinese culture and more about turn-of-the-century stereotypes of the Far East. In the spring of 1927 the Mississippi River and its tributaries were bulging with months of unusually heavy rains. On April 16, just 30 miles south of Cairo, Ill., a levee burst, flooding 175,000 acres. The Great Mississippi River Flood had begun. As the torrent made its way south, levees failed in 120 spots along the river, flooding over 165 million acres. 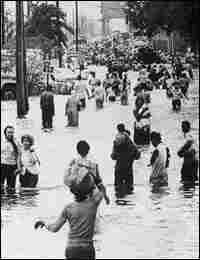 According to a government Web site, 600,000 people were left homeless and the flood claimed 246 lives. As the flood made its way down the Mississippi River valley, many people headed north. But amid fears that the region’s labor force would disappear, thousands of black tenant farmers and their families were forced to stay behind. Greenville, Miss., was one of the hardest hit cities, with its downtown covered by 10 feet of water. Over 10,000 survivors from the area — mostly black farmers — found refuge on the 8-foot-wide crown of Greenville's levee. Hoping to avoid an equally tragic scenario in New Orleans, the governor of Louisiana authorized the breach of a levee south of the city. Two southern parishes were flooded, displacing thousands of people. But the dramatic action was in vain. Broken levees upstream had already diverted enough water to spare New Orleans the flood’s full wrath. The flood was a wake up call for the federal government. Congress enacted the Flood Control Act of 1928, giving the U.S. Army Corps of Engineers responsibility for flood control on the Mississippi River. A comprehensive plan was set in motion that included the modification of levees and the construction of reservoirs and floodways to divert floodwaters. The new protections were tested in 1937, when the Mississippi River once again threatened massive flooding. The improvements held the river back, sparing the region another catastrophic flood. In 1948, Vanport was the second largest city in Oregon. Originally, the city was created to accommodate an influx of shipyard workers and their families during World War II. Located between Portland, Ore., and Vancouver, Wash., along the Columbia River, Vanport was one of the largest public housing projects in the country. At its peak, nearly 50,000 people, many of whom were black, called Vanport home. 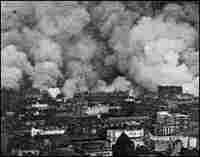 Although many of the city's original residents left after the war, nearly 20,000 people remained when the city was destroyed. 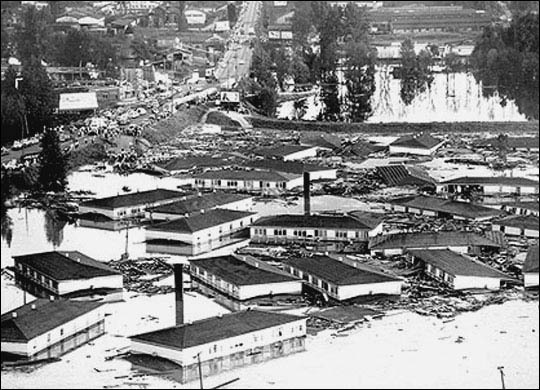 On Memorial Day 1948, the entire city of Vanport was washed away after a dike along the Columbia River gave way. Although only 15 people died in the flood, the entire population of Vanport was left homeless. Because it was originally intended to be a temporary establishment, there was no effort to rebuild Vanport. With aid from charities and government programs, most of the residents relocated in nearby areas. The exodus prompted an unprecedented influx of African Americans to Portland, which at the time had one of the country's lowest percentages of blacks in its population. 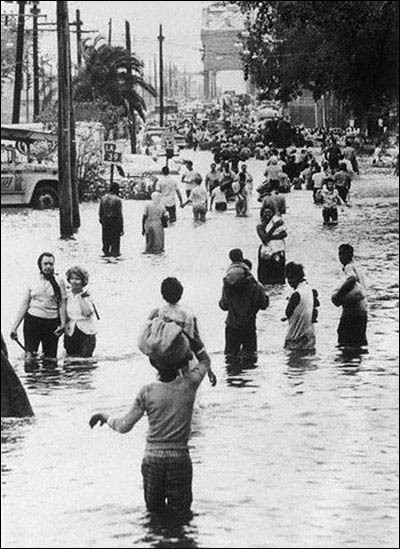 Following a path similar to Katrina's, Hurricane Betsy gathered strength in the Gulf of Mexico before it struck 50 miles east of New Orleans on Sept. 10, 1965. The storm surge overwhelmed Lake Ponchartrain, pushing water over its levee system. Much of the Crescent City was flooded by several feet of water. Betsy was blamed for 75 deaths and became the country's first hurricane to surpass $1 billion in damages. Congress responded to the disaster by authorizing the construction of a 16-foot ring of levees around New Orleans. But the levees were constructed to only withstand a Category 3 hurricane, a decision that may have contributed to the flooding when Katrina struck New Orleans 40 years later. Hurricane Andrew, which made landfall on Aug. 22, 1992, is one of only three Category Five hurricanes on record to strike the United States. Before Lake Pontchartrain swamped New Orleans in the wake of Hurricane Katrina, Andrew was considered the costliest U.S. hurricane on record, with $25 billion in damages. After tearing through southeast Florida and parts of Louisiana, Andrew left 23 people dead and thousands homeless. Homestead, Fla., was one of the hardest-hit cities, with widespread damage to homes and infrastructure. A less obvious, yet longer-lasting, outcome of Hurricane Andrew was its effect on the insurance industry. It is estimated that $16 billion of total losses were insured. While larger companies such as State Farm and Allstate could afford to make such large payouts, many smaller firms simply went bankrupt. As a result, new measures, including the creation of a state-managed catastrophe fund, were put in place to protect the industry and consumers. Insurance rates and deductibles nevertheless skyrocketed and several insurance firms permanently left Florida. NPR's Douglas Hopper researched and compiled the information in this report.